Episode 32: What about the "S"uper Teacher? | Gurl What ?!?! 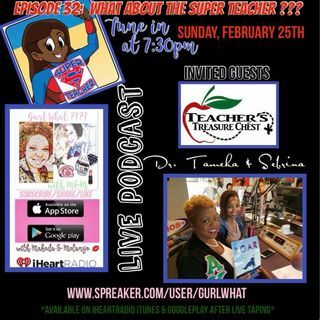 Episode 32: What about the "S"uper Teacher? Donate to a GREAT CAUSE for teachers. Hi you’re welcome. Love the discussion. It is so necessary at this time. Hi Soror! Thank you for listening!